They may have made their names with careers on the big screen. 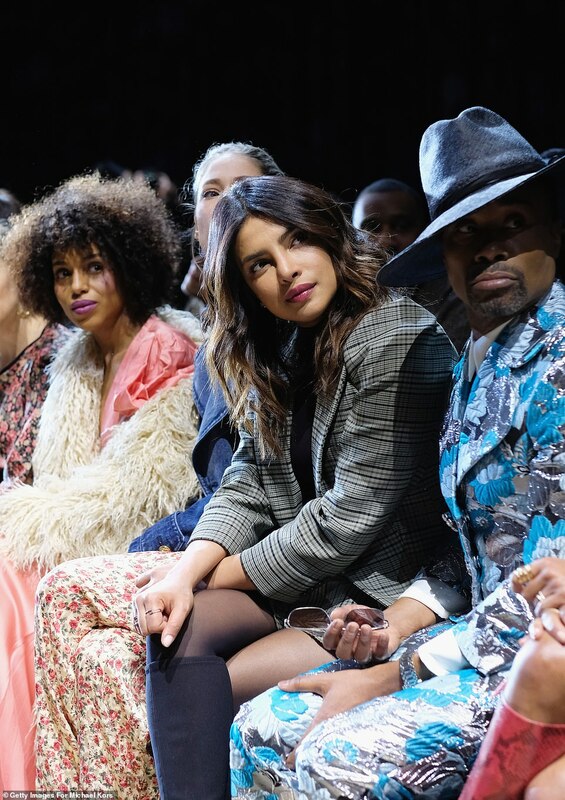 But Kate Hudson, Priyanka Chopra, and Kerry Washington looked ready to rock the runway on their latest outing. 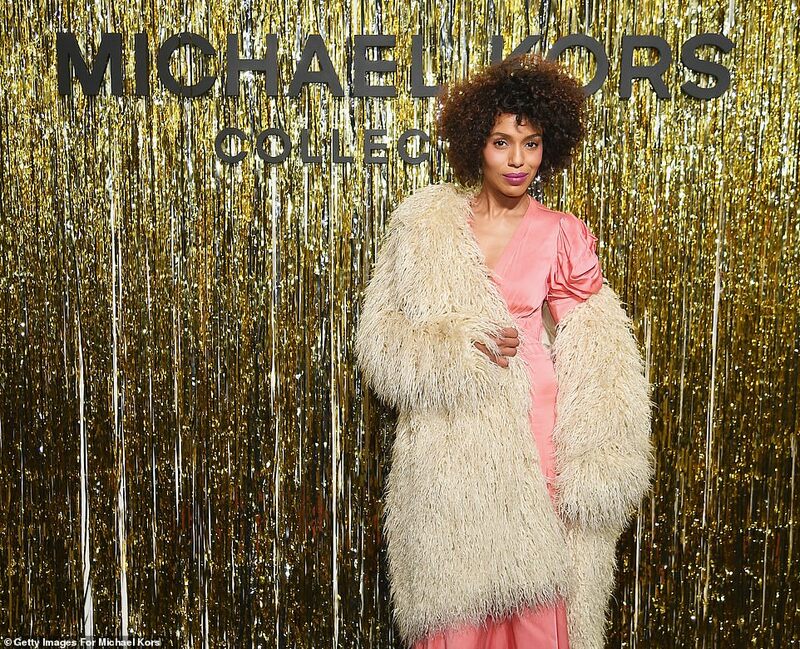 The trio of talented actresses led the star parade at the Michael Kors Collection presentation as part of New York Fashion Week on Wednesday. Kate, 39, looked absolutely fabulous in a flowy black maxi dress featuring floral pattern all over the shoulder and neckline down the sleeves as well as by the hemline. The Almost Famous star wore her short blonde locks combed to one side as she accentuated her porcelain skin with minimal make-up topped off with a swipe of shiny pink lip. Kate welcomed daughter Rani Rose with boyfriend Danny Fujikawa back in October. She shares a seven-year-old son Bingham with former fiancee and Muse frontman Matt Bellamy and 11-year-old son Ryder with ex-husband and The Black Crowes frontman Chris Robinson. Priyanka, 36, still has that newlywed glow as she looked absolutely fantastic in a grey checked blazer and mini skirt combination. She contrasted the patterned combination with a black top with matching stockings and knee-high suede booties. Her ombre locks were worn down in a middle part as she added a pop of color to her look with shiny red lipstick. 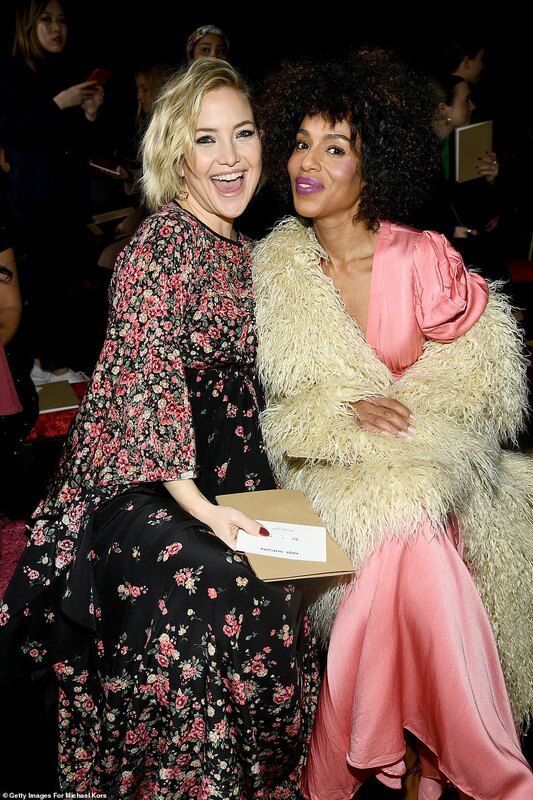 Kerry, 42, may have made the boldest fashion choice as she sported a white faux fur coat as she dropped one of the sleeves to show off her shoulder. She also sported a pink midi dress with matching strappy metallic heels. 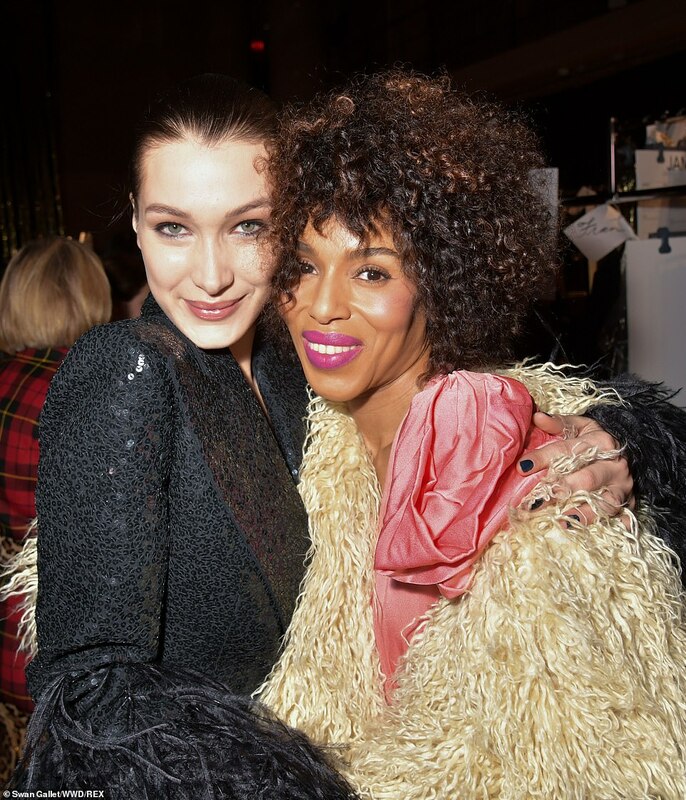 The former star of Scandal’s brown tresses were in an afro as she sported fuchsia lipstick. There were a number of other A-listers at the gala event but Catherine Zeta-Jones made it a family affair. 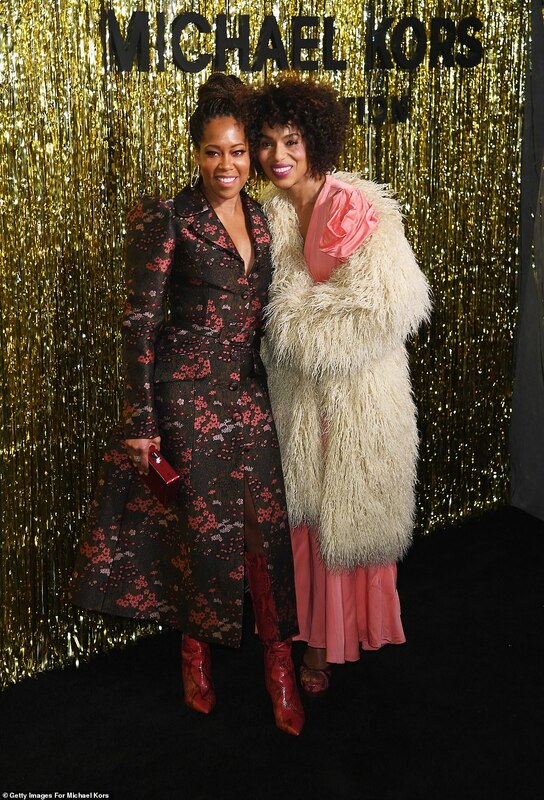 Kerry posed on the red carpet for a cute snap with fellow actress Regina King. The 48-year-old acting veteran looked stylish in a black floral patterned trench dress with red python leather booties. 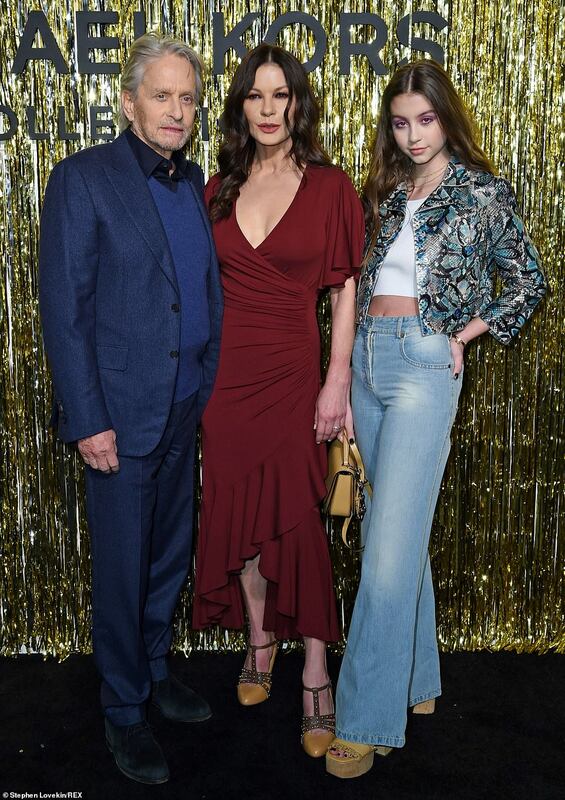 The 49-year-old Entrapment actress was accompanied by husband Michael Douglas and 15-year-old daughter Carys at the Michael Kors Collection show on Wednesday. The Welsh beauty looked ravishing in a low-cut red number at the star-studded event in the Big Apple. The frock featured short sleeves and a high-low hemline as she teamed the look with a pair of strappy studded green and yellow heels. Her brunette tresses were worn down in a middle-part as she accentuated her evergreen looks with natural, complementary make-up topped off with a swipe of bright red lipstick. Michael looked dapper in a navy blue suit and sweater combination which he teamed with a black dress shirt and matching suede shoes. Carys looked retro chic in a python patterned biker jacket over white top and light blue flared jeans. Olivia Wilde was also in attendance as she looked stylish as always in an olive green military style jacket featuring big gunmetal buttons all over it. The 34-year-old teamed the look with a shimmering silver maxi skirt featuring an asymmetrical hemline to show off her black leather booties. 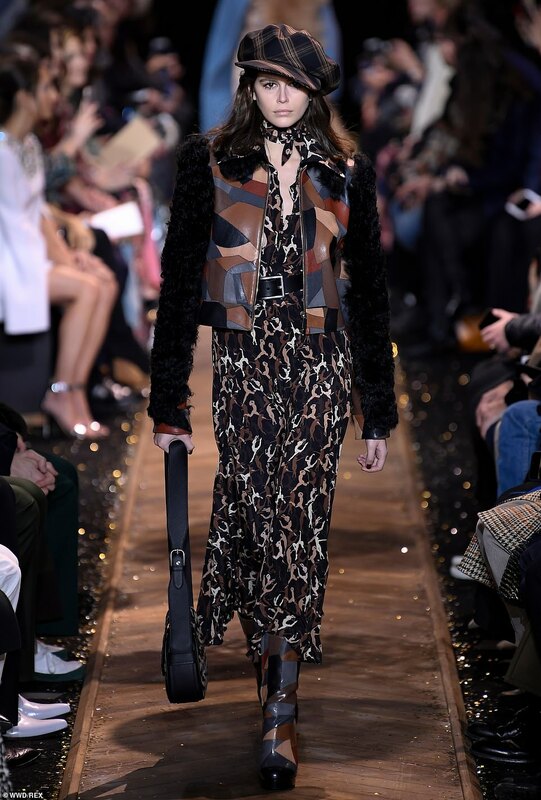 Not only were there A-listers in the front row of the the event but the catwalk even featured stars in their own right including Gigi and Bella Hadid as well as Cindy Crawford’s daughter Kaia Gerber. 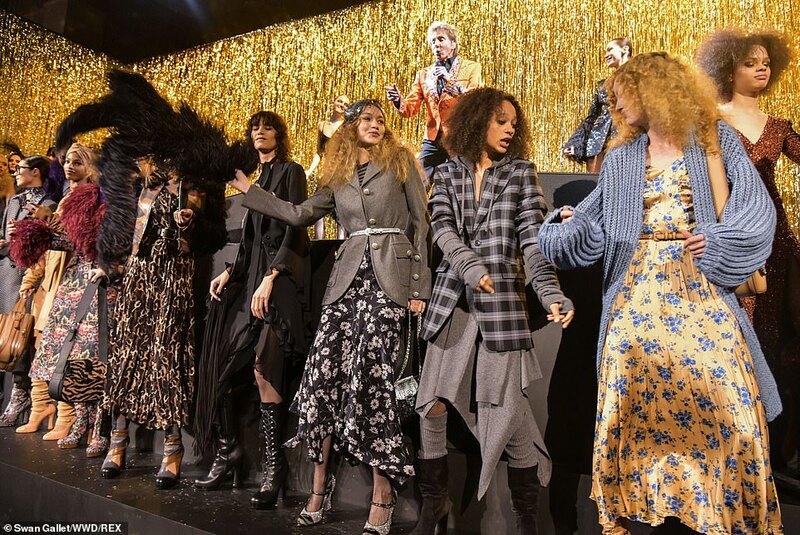 The upcoming Michael Kors fall 2019 collection features plenty of patterns – especially when it comes to midi dresses – along with chic traditional coats with twists including patterned buttons, sequins, and fringed sleeves. 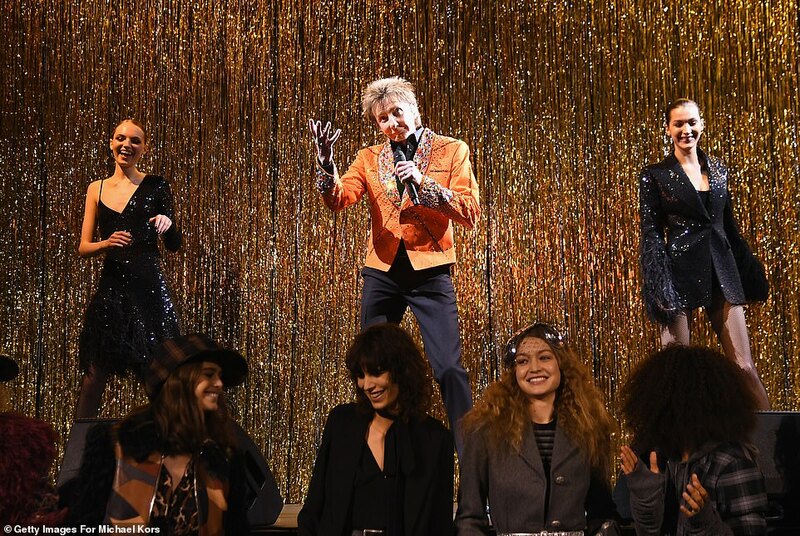 As if the runway stars weren’t enough showcase the upcoming range, Barry Manilow performed at the fashion event. 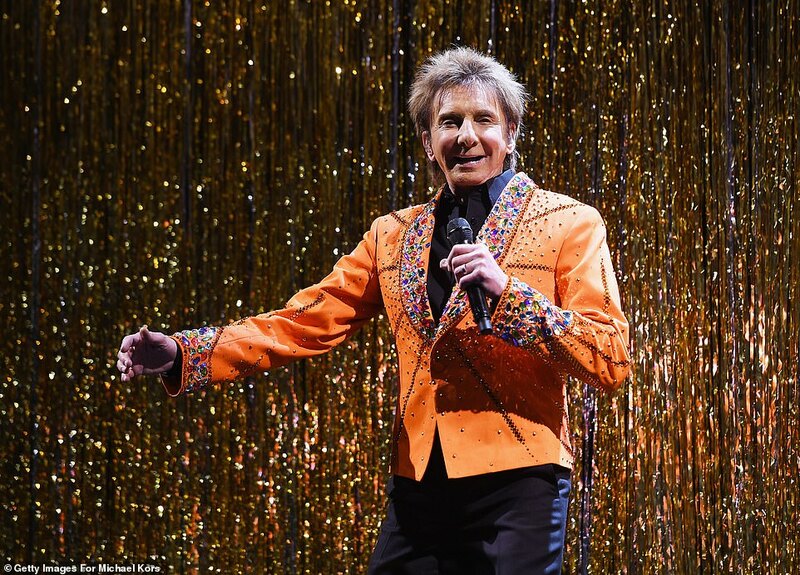 The 75-year-old singer sported a bright orange blazer featuring studs and colorful jewels fastened to the lapel and sleeves as he performed the Copacabana. 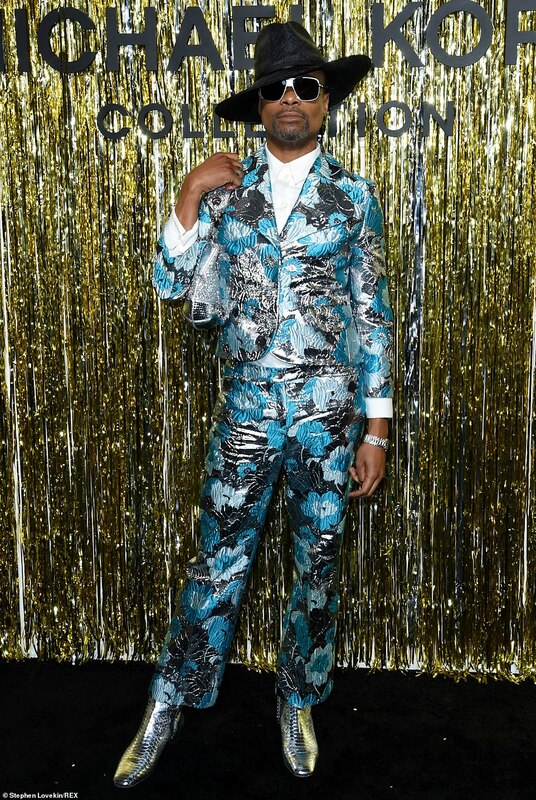 The closing of the show featured all the runway models – including Bella who was right next to him – dancing to the 1978 classic.